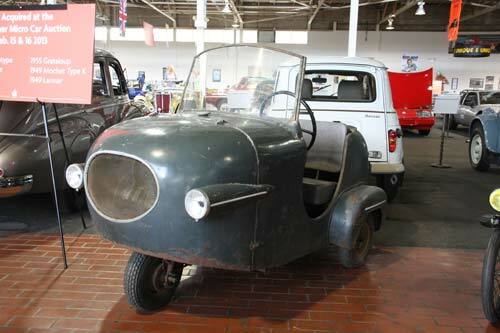 In 1952 the Manom Company started on the prototype Manocar. The car was to have large curved body shapes that gave it a larger appearance. Also, with a high seating position and no doors, the Manocar was easy to step in and out of. While many microcars were small and cramped, the Manocar seemed quite spacious because of its high open seating. The motor was mounted on the front forks, and the front suspension was via rubber bands. Only two prototypes were made, and production never happened.